Home » Signed picture of Ronny Johnsen the Aston Villa footballer. Ronny Johnsen. 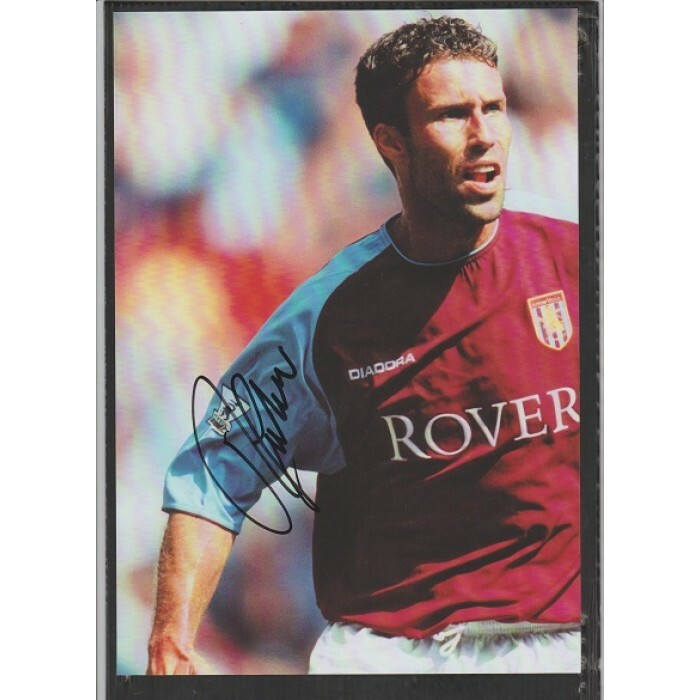 This is a great A4 size colour picture of Ronny Johnsen the Aston Villa footballer. This picture has been signed by Ronny Johnsen in fine black maker pen and is an excellent example of his signature. Ronny Johnsen played 49 league games for Villa between 2002 and 2004 scoring once. Ronny Johnsen also won 62 caps for Norway. Very nice item.